Looking for a new Android app that will help you kill some free time around Christmas? 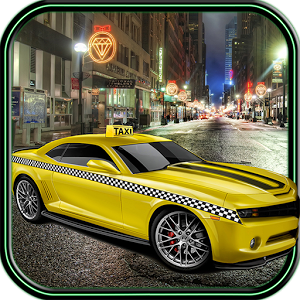 Well, then take a look at 3D Taxi for Android, right off Google Play for free. 3D Taxi is what it says it is – a game that lets you drive a nice new shiny BMW that circles around town, takes people and drives them to certain points while you make money. You can use this money to upgrade your car later, which is a nice feature, adding to the game the feeling that you play one of these famous racing games for PC (we will not mention names here but it is not hard to find out about them). In fact the racing element is right there in the game – you can’t get rid of it simply because you need to take these people to their desired locations on time so you will be in a hurry most of the time; in addition you do drive a BMW. So we really liked this basis for the game as it makes you feel like you are a real pro with a real car. Now the downsides – the game is full of ads, you can remove them by paying a fee though. In addition the game prompts you every once in a while to log into Facebook, which is annoying too. Then the handling – you will have to tilt your device left and right to make the car go left or right. And while this is manageable the graphics will not surprise you with effects, quality or anything else. It’s just plain 3D graphics but then again it can’t be any other way as the game is just 28 MB in size. To make things a little better we can mention the really nice and versatile options that will satisfy every taste. Is this one worth your time? Quite possibly, yes. All you have to do is get used to the handling and the adds but all in all it will help you kill time around Christmas. You can download the game here on Google Play.